A few years ago, after discovering this author’s amazing urban fantasy books. I love the Mercy Thompson books more than words can say (although I keep trying…). I’ve read all of the books in the series and in the related Alpha & Omega series, but I’ve never read any of Patricia Briggs’s earlier fantasy works. She’s such an amazing writer that I’m more than willing to give this book a try. After all, the next Mercy book is still months away, and I need something to keep me busy! Hi, there! I discovered this meme thanks to Wendy @ Musings of a Bookish Kitty, and I’m so glad I did! 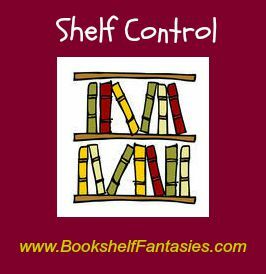 I used to have a similar meme myself, titled “On My Bookshelves”, over at A Night’s Dream of Books, my YA book blog. Yours is SO much better, though, because of the questions included! So I’m participating for the very first time, with my literary fiction blog, MindSpirit Book Journeys. I might take turns participating with one of my two blogs. I have been wanting to read Patricia Briggs for the LONGEST time…… I know that her Mercy Thompson series is supposed to be AWESOME! 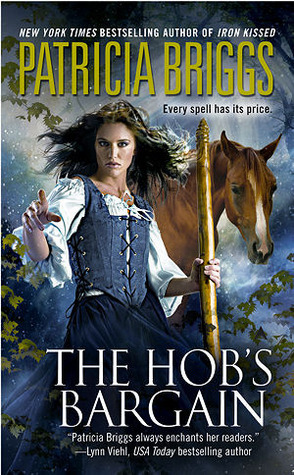 This early fantasy novel looks great, too, so I’m adding it to my Goodreads shelves right away! Thank you so much! I’m delighted that you’re joining in. Patricia Briggs is one of my very favorites, and I just adore the Mercy Thompson series, so I hope you give the books a try! Thanks for the welcome, Lisa! As for the Mercy Thompson books, I need to get started on them sometime soon, and see what all the fuss is about. I know I’ll enjoy them! BTW, just to let you know….I need to link up again. There was some glitch, so, instead of being taken to my blog, MindSpirit Book Journeys when you click on the link, you are taken to the home page for Compuserve.com!! I don’t know how that happened! Lol. It took me awhile, but I dove into Patricia Briggs’s Mercy Thompson series around the time my daughter was born and fell in love with the series. Sadly, I haven’t been good about keeping up. I do want to though–and read all her other books, including her back list. I agree, she’s an amazing writer!